Are you ready to think big? In this episode of Believer’s Voice of Victory, Gloria Copeland and George Pearsons teach you how to have faith for your vision so you are ready to answer the command to expand! Romans 12:3 tells us that God has given everyone “the measure of faith.” What does that mean, and how can you have the full measure of faith? Gloria Copeland and George Pearsons answer these questions and more on this episode of Believer’s Voice of Victory. Don’t miss it! In this video: What is Uncommon Faith? You can develop the faith you need to do the impossible! In this episode of Believer’s Voice of Victory, Gloria Copeland and George Pearsons teach you how. What is uncommon faith? No matter what God has called you to or what godly desires He has placed in you, uncommon faith is what you need to accomplish them. You can have bulldog faith that bites down on the Word of God and doesn’t let go! In this episode of Believer’s Voice of Victory, Gloria Copeland and George Pearsons will show you how to get aggressive in your faith and take the promises of God without wavering. 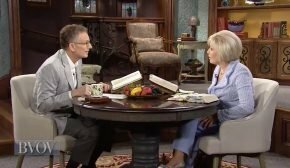 On today’s Believer’s Voice of Victory, Gloria Copeland and George Pearsons reveal examples from the Word of God, of the greatest faith, and how we can follow those same examples. Learn how to operate in the greatest faith, and let it change your future! 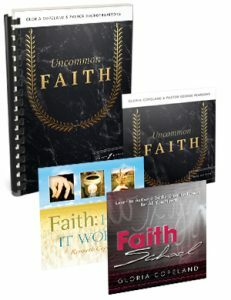 Watch the next week in this teaching series, How to Develop Uncommon Faith.